Thrifted blazer + jumpsuit. Forever21 platform shoes. ahaha, I also went to ballet classes when I was younger. But I never liked it...it was more my mums dream. lol I adore your jumpsuit btw. I'm raising my hand sky high right now and loving your outfit at the same time. Hi there, just realize u have a blog! Beautiful jumpers, beautiful posture! U have got great collections of vint. I feel the same way about ballet...I wish I had stuck it out when I didn't like it. 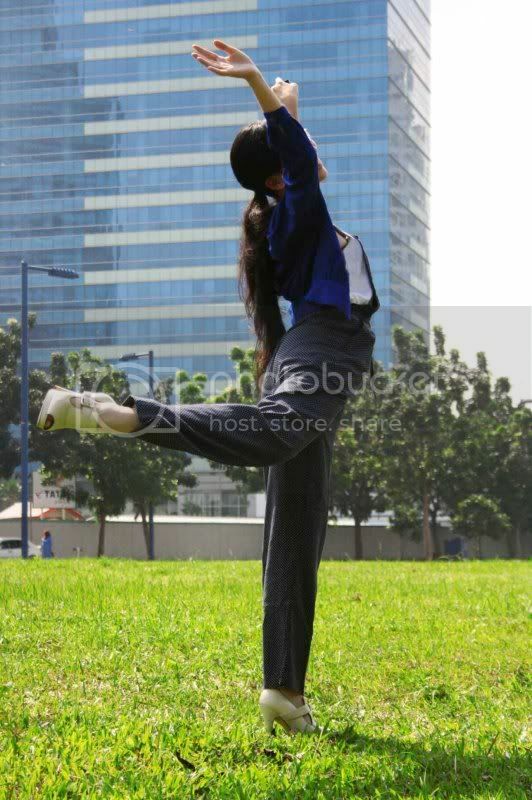 I,d love to be a good ballerina now!! 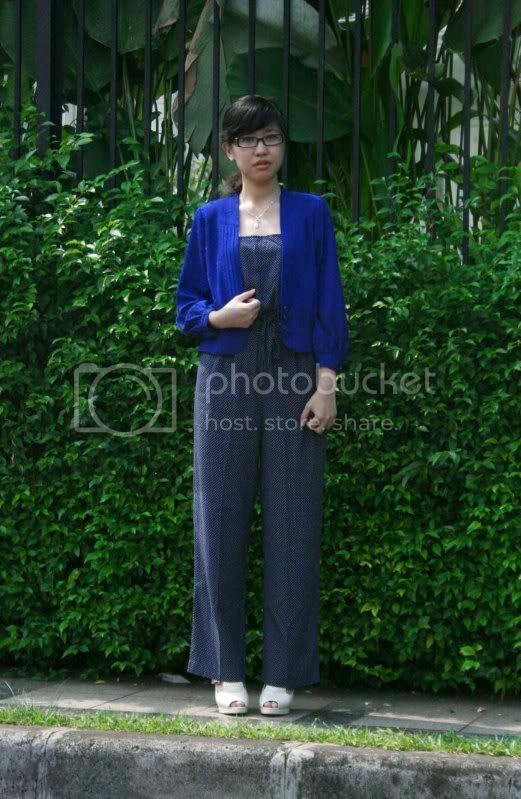 Gorgeous outfit, the jumpsuit suits you perfectly and I love it mixed with the bright blue blazer. I love how u play with vintage and modern things!!!! anyway, i love sting. i always play his songs on my radio show. isnt he just dreamy? I love the thrifted blazer! And i just added you to my blogroll, btw. where do you thrift? and that jumpsuit's adorable! im currently making blogroll, lets relate!